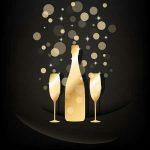 Cheers to the New Year’s! 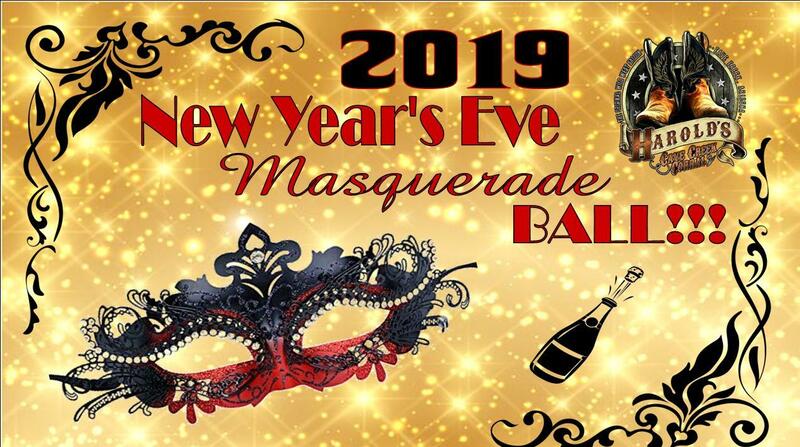 Grab your Masquerade mask and join us for the party of the year! We fill up fast & sell out every year! Make your reservations today! OR JOIN US FOR THE AFTER PARTY AT 10PM! Live Music by The Crown Kings!!! 2. Visit the lovely ladies at the host stand of Harold’s Corral! 1. You would like to let us know your time of arrival. 2. If you are part of a bigger party or would like to sit next to another party. 3. If you have any preference of seating area or server requests: (inside, outside, by dance floor, dining room, bar area, special server sections, etc). We do our best to accommodate all requests. We can not guarantee any certain table, section, or server on high volume nights. 4. Its also always good to include your phone number in case of further questions. Your reservation will be made under the last name of the credit card used to pay for the reservation on the website. You will receive email from PayPal confirming your payment, not Harold’s Corral. – We do our best to accommodate all customer requests but we cannot guarantee any specific table, server, or section on high volume nights. Let us know your requests! -If there is an increase or decrease to a reservation, you must notify us at least 48 hours in advance. Due to limited seating. -This payment is a non refundable security deposit that includes a reserved table all night, dinner entrée, champagne toast, and our midnight breakfast buffet. This does not include tax, gratuity, drinks, desserts, and anything extra purchased that night. 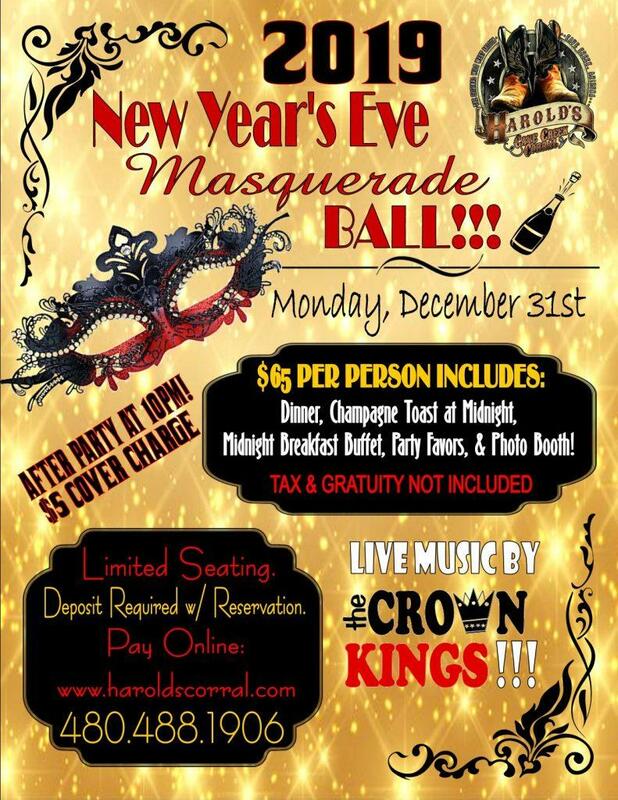 -Bring Credit Card, ID or Receipt To Harold’s at Check in.